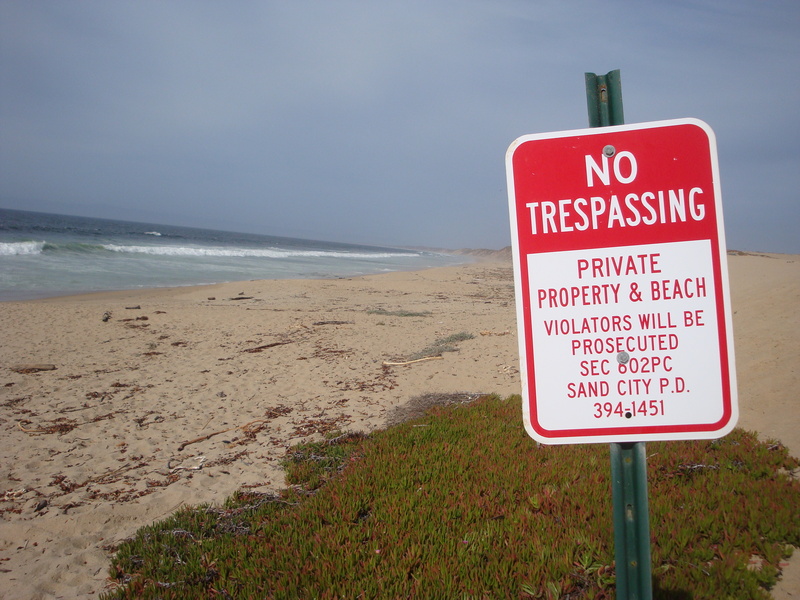 A little over a year ago, we discussed Monterey Bay Eco-Resort developer, Ed Ghandour’s claim that his rights under a Mexican land grant gave him ownership of the beach in front of his proposed resort; a claim that sought to undo at least 1,500 years of legal precedent firmly establishing tidelands as public property. The Monterey Bay Shores “Eco Resort:” How Long Will it Last? The beach in front of what may soon become the Monterey Bay Shores Eco Resort. And, yes, Ghandour has claimed to own the beach, as well as the dunes. You are currently browsing the Xasáuan Today blog archives for May, 2014.